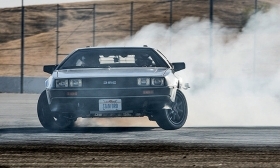 Stanford University's DeLorean is meant to illustrate the importance of teaching self-driving cars tricky maneuvers with the goal of avoiding collisions. PALO ALTO, Calif. -- Drifting might seem like an art. Even a skilled race car driver usually will struggle to skid a car around a corner under perfect control. But it's actually a science: a predictable pattern that a trained driving computer can execute with near-perfect precision. 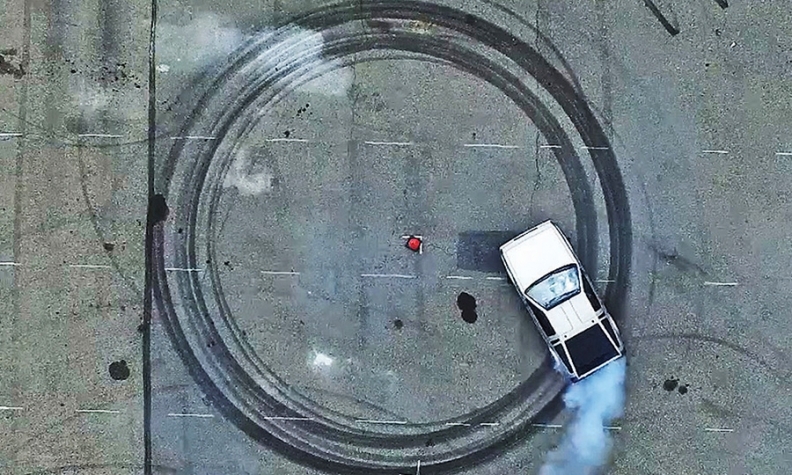 Last week, by unveiling an autonomous DeLorean that drifts itself in perfect doughnuts as its tires lose traction, Stanford University researchers illustrated the importance of teaching self-driving cars to push the limits of grip and execute the tricky maneuvers mastered by the most skilled human drivers. Modern cars have electronic stability control to keep them from slipping and sliding. This is useful because most human drivers can't handle a skidding car, says Chris Gerdes, the Stanford engineering professor leading the project. "When we no longer have a human driver in the loop, we think that the automated vehicle should be able to harness the full range of vehicle operating capabilities to avoid collisions, even if this means going sideways a bit to stay on the road," Gerdes said. "We aren't literally envisioning roads full of automated vehicles that can produce clouds of white tire smoke," he added, "though that would be cool." Gerdes' team named its DeLorean "Marty" in a nod to the 1989 science-fiction film Back to the Future Part II, in which scientist Dr. Emmett Brown and his teenage friend Marty McFly take a time-traveling DeLorean forward 30 years to Oct. 21, 2015. Stanford unveiled the car on the eve of that date at an event hosted by special effects guru Jamie Hyneman, co-host of the Discovery Channel show "MythBusters." The car was built by a group of Stanford students that included Jonathan Goh, a fourth-year Ph.D. candidate in mechanical engineering. Goh said the hardest part of the project was working with the famously unreliable DeLorean; when a wheel bearing broke, students had to hunt down a spare part shared with a parade of horribles from the 1980s, including the Yugo and a series of scarcely remembered cars from Fiat and Lancia. Despite its Reagan-era exterior, though, Marty is chock-full of modern technology, including a $60,000 positioning box that melds traditional GPS with 2G cellular signals and accelerometers to pinpoint Marty's position in space to within a centimeter. Stanford rebuilt the DeLorean as an electric car with help from Renovo Motors, a Silicon Valley startup that emerged in 2014 by unveiling a $529,000 all-electric supercar based on the Shelby Daytona coupe. Renovo gave the car two electric motors and transmissions to shift power in a matter of milliseconds between the rear wheels, a technique known as "torque vectoring." Stanford's DeLorean is full of technology, including a $60,000 positioning box. Christopher Heiser, CEO of Renovo, said the work with Stanford marks the start of a new project: a testing platform that makes a car as open as a smartphone. Renovo has developed software that works like a smartphone's application program interface, or API, making it easy for researchers to collect data from a car's onboard sensors and send any command that won't fry the electric motors or otherwise damage the car. Today, software developers who wish to take control of a car's steering, pedals and engine controls, or tap into their onboard sensors, must spend years cracking automakers' proprietary code, typically with no help from the automakers themselves. "It took Google years to reverse-engineer Priuses to get them to do what they wanted," Heiser said, referring to the company's self-driving car project. "Why should anyone trying to innovate in the auto industry have to do that?"